Onboarding a new hire begins when the talent signs on the dotted line. But the days of paper documents are numbered. In the workplace of the future, smart contracts are expected to replace the traditional paper-based contract, and all the manual processes that require the constant attention of HR are set to be automated. Smart contracts are programmed to execute the rules and penalties outlined in the agreement. This makes it easier for HR and business leaders, as well as employees, to meet their obligations and comply with policies and regulations. 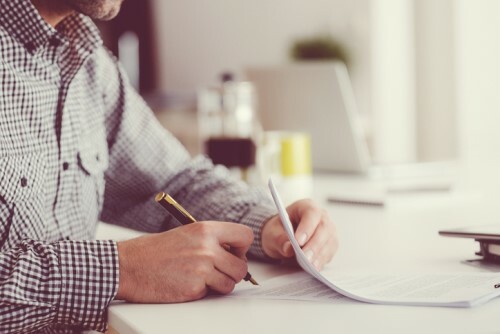 Unlike traditional contracts that only state the terms of the agreement on paper, smart contracts take the extra step of automatically following the terms stipulated in them. The system follows an “If this, Then that” logic. For example, if an employee renders the required number of hours of work per week as recorded in the ledger (blockchain), then the employee is paid their due automatically through a singular system of exchange. Payment can be made through cryptocurrency on the same blockchain, thus eliminating the need for third parties like banks to transfer funds to employees. At the same time, since blockchains record every single transaction, the exchange between parties is documented and transparent to all who have access to the ledger. Another example is when new hires are asked to submit a documentary requirement or security clearance before being given further access to IT systems or office premises. Once the task is complete, the smart contract immediately grants them access, activates their tools, and records the transaction. Why should HR use smart contracts? A contract that automatically follows the rules encoded into it helps streamline work that would otherwise require a continuous back-and-forth between different teams. The catch, of course, is that companies need to program the rules into the blockchain clearly and correctly to ensure a smooth execution of commands. Onboarding, which entails coordination between the new employee, HR, IT, security, finance, and even legal, can easily be managed through actions programmed into a smart contract. Without it, HR teams would be left to do much of the heavy lifting – ensuring all terms of the contract are clear, all documents are signed and verified, and all permissions are granted to the new employee.